Behind every great event is an army of referees, and in Scotland, we are always searching for aspiring individuals to add to our pool. Whether you’re interested in taking your first steps as a squash referee or officiating world-class players, our courses can help you realise your refereeing ambitions. 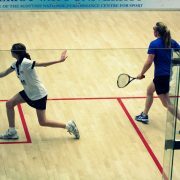 Take a look at our courses to see what we offer and contact info@scottishsquash.org to get started.